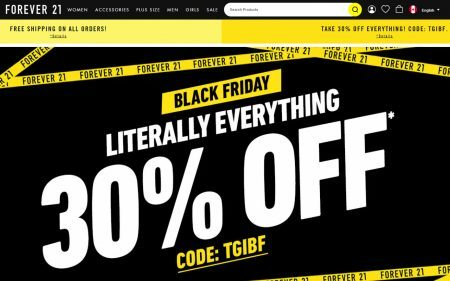 Forever 21 is having a Black Friday Sale. Save 30% off literally everything when you enter code TGIBF at checkout. 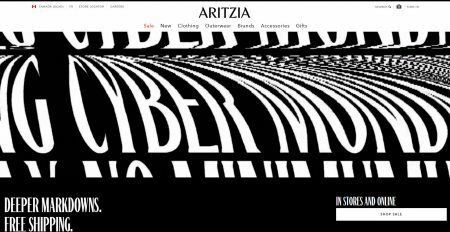 The sale is available online only. 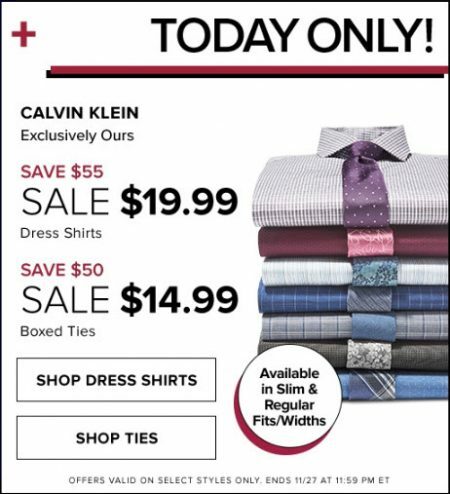 The sale is available for 1-day only on Friday, November 23, 2018. November 23, 2018, 12 am PST to 11:59 pm PST. Some restrictions apply. No price adjustments on previous purchases. Offer valid online only. Offer not valid on the purchase of gift cards, e-gift certificates, The Outlet, applicable taxes, or shipping fees. To redeem online, enter the promotional code when prompted. Cannot be combined with any coupons, discounts, or other offers. No adjustments on previous purchases. Cannot be redeemed for cash or cash equivalent. 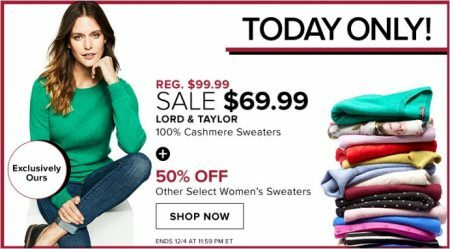 Forever 21 reserves the right to modify or cancel this promotion at any time without notice. See store for details. Terms subject to change at any time without notice. 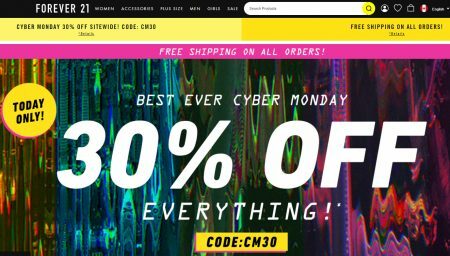 Forever 21 is offering Free Shipping on all orders today. 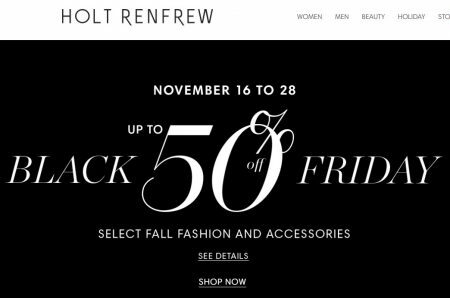 Holt Renfrew is offering up to 50% off select fall fashion and accessories during their Black Friday sale. The sale is available in-stores and online until November 29, 2018 at 3am ET. Sale will be in effect while quantities last. Styles, quantities and sizes are limited and vary by store. 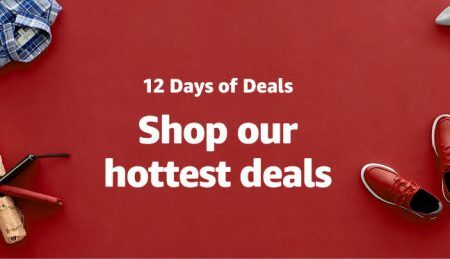 On select regular priced merchandise only. Discount will be applied before sales tax. Available at all Holt Renfrew stores, Ogilvy and online. Sale in effect while quantities last. Styles, quantities and sizes are limited and vary by store. Consult with a Sales Associate for list of exclusions and other details. No price adjustments on previous purchases. Cannot be combined with any other offer. For online orders, please note Holt Renfrew may be required to cancel your order and refund payment due to pricing errors, unavailability of inventory or for any other reason. 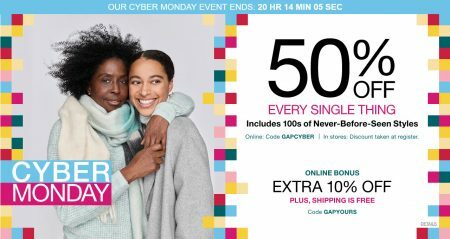 Offer valid 11/16/18 at 12:00 am ET to 11/29/18 at 3:00 am ET. Click here to visit Holt Renfrew’s website.